ETA: if you want to try Rocksbox use code shoppinggalxoxo for the next few weeks and get your first month free! I actually had a choice from all of these but this is the one that popped for me. In addition to the Rocksbox display, they also had a makeup station, photo booth and a mailing station where you could mail a friend a free deodorant. I sent one to my sister but I kinda regret not sending it to myself LOL. I've been picking up more 90% off bits and pieces at Century 21 this week so it's really not too late to take a peek and get lucky. At this point your best bet is to head to the downtown location but you may find a stray return floating around the other stores. My most exciting C21 finds this week include my brother's $1500 Zegna leather and nylon moto-jacket that I scored for just $65 and super cute $589 Lanvin bow heels for $29. So cute. Target has been pretty productive. 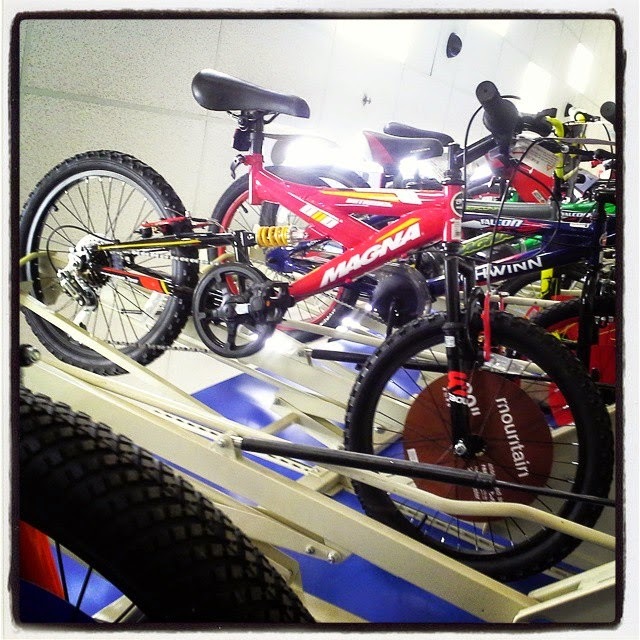 I've been stalking this Magna mountain bike for my son for weeks. It was hanging out at 50% off and you know that's not good enough for me. Finally hit 70% off - got it for $29.98! I waited for 90% off Valentines clearance because I was too busy with 90% off at Century. I still managed to find a bunch of goodies. Thanks to a tip on All Things Target I managed to find a shelf-full hiding in plain sight in the toy department. These Princess Sophia Play-doh sets rang up just $.69 each. Filled up my cart with these $58 Michael Kors espadrilles for my girls - guess what they'll be wearing for the next few years LOL. 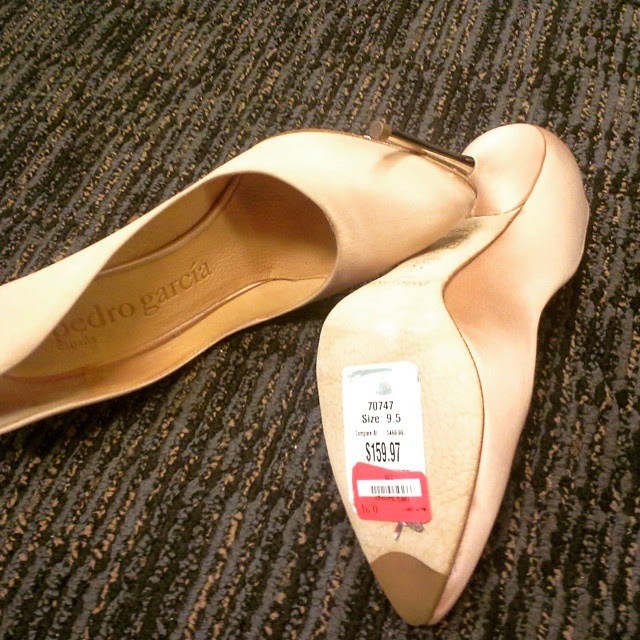 Found these $460 Pedro Garcia satin pumps actually marked $0.01 - love when they take the guesswork out of the equation LOL. And my favorite penny find was this $330 Rebecca Minkoff silver triangle Rex clutch that I'd noticed hanging around for a while. At this point I can spot them a mile away. Like I always say, just look for the old stuff. Not a penny, these Dolce & Gabbana Light Blue perfume sets were marked down to just $12! Guess what everyone is getting for their birthday this year? This week I had to finally say goodbye to my Chanel cuff :( My friend's dad does the repairs for the Chanel NYC boutiques so I had him look at the cuff and he sent me to the downtown boutique thinking they would pay for the repair or replace it. Unfortunately they told me they would have to charge me $80 to repair it (only boutique purchases are guaranteed for a year) and it probably would never be the same. I took it back the Neiman Marcus where I purchased it and was refunded. I didn't want a refund - I just want a Chanel bracelet (for the 75% off that I paid) that won't break in two seconds. Sigh. On a happier note, if you can get to NYC, it's not too late to head over to Tamara Mellon - sale ends on Sunday! Check out 260 Sample Sale (or my previous blog post) for more info. 1. LOVE the necklace, as I said on IG. You're gonna rock it so hard. I wish I could coupon more, but I am a fanatic about only buying organic when it comes to food or anything that goes on my body (I have a genetic skin condition that makes me highly sensitive to perfume/fragrances). I end up spending sooo much when it comes to products. Boo. 2. Dying over your Lanvin heels. I found some too a few days ago but they have ankle straps, which are not my fave (can only wear them with skinny jeans), PLUS they were more expensive. I am a sucker for feminine bows, and you are gonna look so leggy and gorgeous in those! I've been checking C21 almost daily this week (mostly due to all my Ferragamo sale runs lol) and have been pleasantly surprised by the things that make it back onto the racks. Saw some truly gorgeous Altuzurra suede pumps for $25 (!!!!) but they were a full size too small and the chain embellishment on it was broken beyond repair. SIGH. 3. I saw those D&G perfume sets at Union Square a day or two after you posted, there were like 40 of them. I didn't buy any because I don't know anyone who uses perfume and I don't use it myself. When I went back the next day, they were gone. Someone really wiped them out. I enjoy imagining them getting on the subway afterwards, though of course they probably got a cab/uber/ride home lol. Love all the penny finds, that Rebecca Minkoff is darling. 4. RIP Chanel bracelet :( I adore Chanel, like a lot, but their quality can be TERRIBLE, especially with costume jewelry (and considering what you have to pay!). I got some seed pearl CC earrings for Xmas, and all the pearls fell out like within 2-3 months. At the time I was living somewhere without a local Chanel, so I couldn't get it fixed, and then the warranty expired. Such a bummer. I hear you - at this point I'm a selective couponer. I don't try to build my stockpile anymore and try only to coupon what I actually use. Couponing takes a lot of time and I'd rather spend it penny hunting or on my blog. I saw your Lanvin heels - they are so cute! Yes it's hard to buy things that are more (when you've seen others for less) but you have to put things in perspective. Hello - you just got Lanvin heels for less than $50! If you saw them at the Rack for that little you would have snapped them up and been thrilled. I do the same with my thrift finds - I think about how much I would have spent at TJ Maxx and if it's less I grab it, even if it's on the expensive side for thrift. 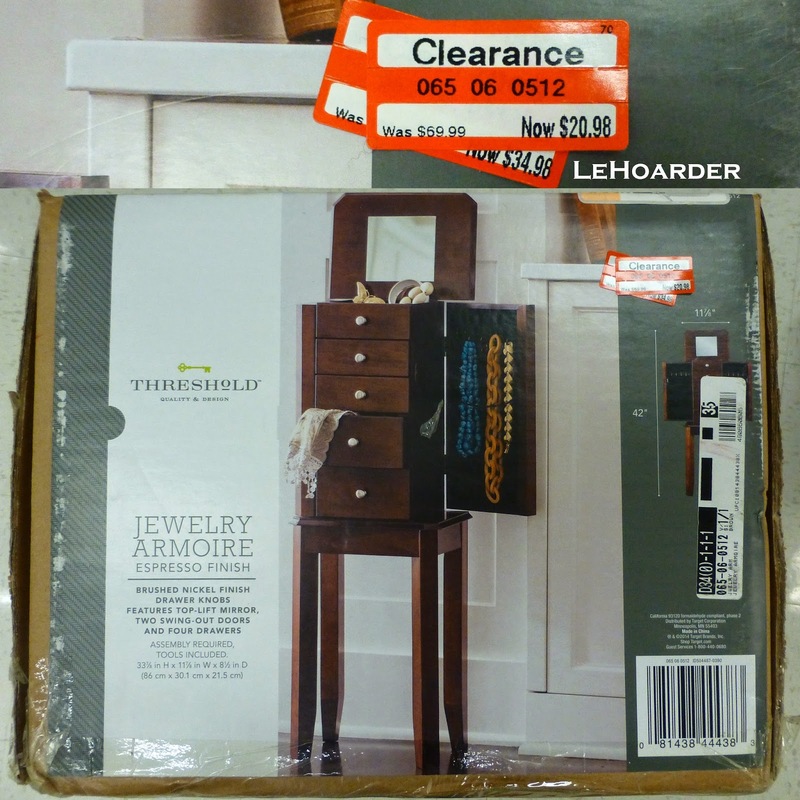 Century21 75% off end of season sale!